Robert Bolling, of Bradford, was a Gentleman born into a wealthy family in 1396. He fought as part of John Clifford’s retinue in the Wars of the Roses. This band fought at Dittingdale and its survivors the following day at the Battle of Towton. For Robert, it was an escape from death. Though thousands perished, including most of Clifford’s Gentlemen, he somehow evaded death or serious injury. It was not a lucky escape though, as a Lancastrian Gentleman he was attained, presumed at the time to be a posthumous attainder. Robert Bolling’s involvement in the Wars of the Roses is hardly surprising. 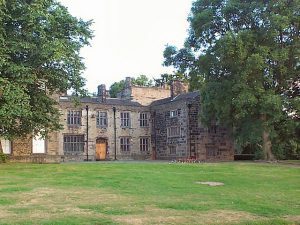 Bolling, around a mile outside of Bradford City Centre, was under the overlordship of John Clifford, 9th Lord Clifford. Clifford is well known for his role in the Wars of the Roses. His father had been killed in the First Battle of St. Albans and he was one of those heirs who sought revenge. Clifford had attended the ‘Parliament of Devils’ and obtained additional lands in Westmoreland, including Penrith and Brougham Castles. As the Wars began to rage in earnest, in 1460, Clifford acquired the nickname “Butcher” as it was he who killed the Earl of Rutland and was said by some to have beheaded the Duke of York. As a liegeman of Clifford it was therefore the case that he would be strongly allied to the Lancastrian cause. After the Battle of Wakefield the Lancastrians set up their government in York. As the Earls of March and Warwick marched north, the Lancastrian forces from this highly supportive area responded. Clifford, as a seasoned knight, was charged with harassing the enemy and assessing their strength. Clifford himself died whilst doing this at Dittingdale. Richard Bolling remained with the army. 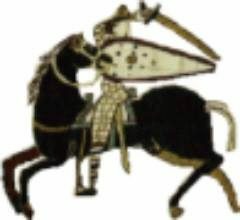 He then saw combat the following day in the Battle of Towton. Little is known of Richard’s involvement in the battle, save that he was initially presumed dead. As the Yorkists won a huge and crushing victory, there was general confusion over who had survived the rout. Many Lancastrian knights had been slaughtered as the battle came to an end. As the Yorkists determined which families ought to be punished for waging war against them, they included Richard Bolling’s name. So, as Edward IV’s first parliament issued its Act of Attainder, Richard Bolling’s name was included. Presumed dead, it also disinherited his heirs. Bolling wasn’t dead though. He now faced a struggle to regain his lands and position. This would prove difficult given he had fought against the new king, an act of treason. His lands had been forfeited and handed to Thomas Radclyfe. Richard petitioned the King to have his attainder overturned. It was made quite clear that this would not happen. This seemed to be the end of the line for Bolling’s hopes of being restored to his lands when the Act of Resumption (1468) reiterated that Radclyfe held the manor of Bolling for life. Humbly beseeching your Highness, your true liegeman, Robert Bolling, in the Shire of York, gentilman, sheweth , that in the Parliament holden at Westminster, the 4th November, in the first year of your Highness’s reign, the said Robert was attainted of high treason, and that his lands were forfeited from the 4th March preceding; that suppliant was never against your Highness in any field or journey, except on Palme Sunday, in the first year of your most noble reigne, whereto he was dryven, not of his oune proper wille, nor of malace towards your Grace, but oonly by compulsion, and by the most drad proclamations of John, then Lord Clyfford, under whose daunger and distresse the lyvelode of your suppliant lay. On this occasion, Richard was successful. The King agreed to restore his lands and titles. 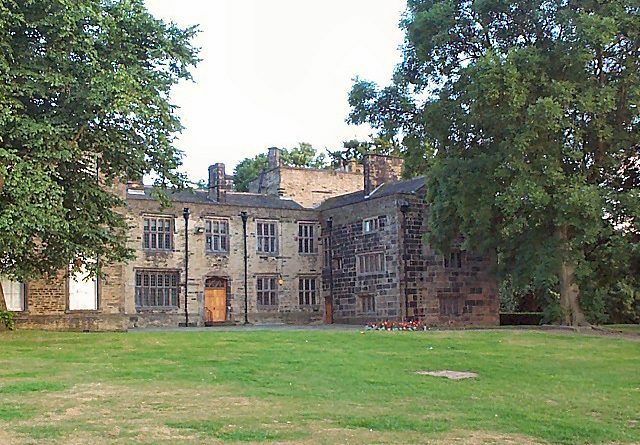 The Bolling Family then went on to become an increasingly wealthy and influential family, as marriage saw the union of manors within the Bradford area in their favour. Richard’s son, Tristam, held not only Bolling but most of the land from modern day Manningham through Chellow to Allerton. Richard himself lived to a grand age of 91. He is buried in Bradford Cathedral. The changes to landownership of the Bolling Estates must have been rather unsettling not only for Richard and his family but for the people living there. Society is based on stable structures, people like to know who their ‘master’ is and the manner in which things are organised. A change in master through death, or even attainder, is unlikely in itself to create too much unrest. After all, it was a day and age in which many lives were cut unexpectedly short, society could respond and react to that. In this case, the manor was held by Radclyfe whilst Bolling was agitating to have it restored. This is unsettling. One wonders what, if any, impact that this would have had upon daily life in the manor during the wars?